Dr. Bang lectures at the Graduate School of Public Policy at Sogang University, and she is currently undertaking independent research regarding the rise of China. She received her Ph.D. from China Foreign Affairs University. 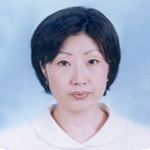 While in Beijing, she worked as a correspondent for the Korea Labor Institute, with a focus on social change and labor-related issues. She received her B.A. from the Hankook University of Foreign Studies and an M.A. from the Sogang Graduate School of International Studies.